Permanent & Strong Glue Tape Roller 8mm x 10Mtr. 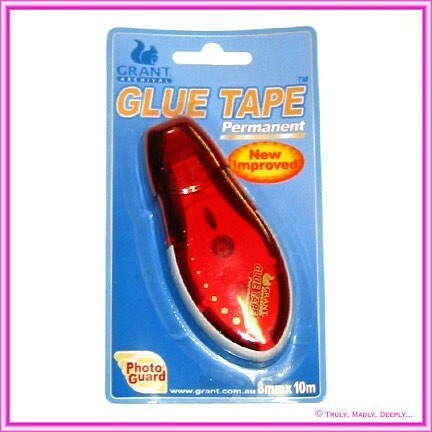 Double sided permanent clear tape on an easy roll on applicator. The ultimate tool for quick gluing of items like ribbon to papers. Also suitable for many translucents, such as the iridescents or darker colours. May show through slightly on light colours or "Clear" translucent.